AUSTIN, Tex. (WLS) -- The oldest living World War II veteran is turning 109 with a week of celebrations. Richard Overton's birthday is next Monday, but his friends and family threw him a big bash this past weekend in Austin, Texas. More than 100 people showed up, including Mayor Steve Adler and the Austin Police's assistant chief. "I feel happy that I've made it," Overton told ABC News. "I know I can't make another 109, so I'm satisfied with this one." "That's what God only knows. That's God's work. He's the one who keeps me living," Overton said. 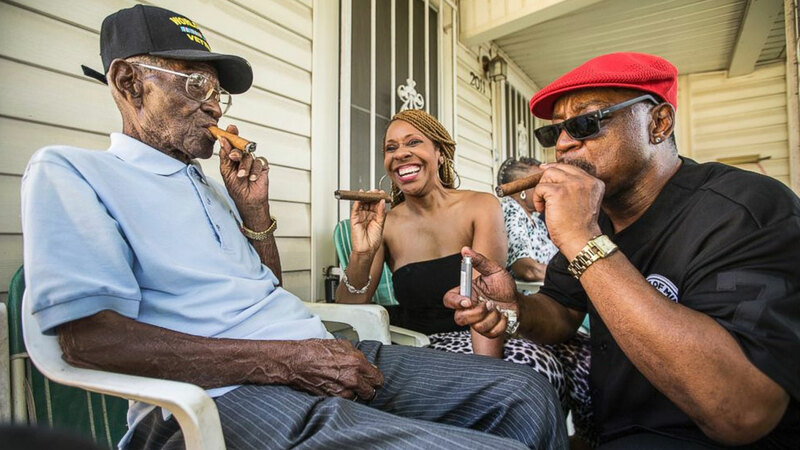 Despite his old age, Overton smokes 12 cigars a day, and has been smoking since he was 18. Overton doesn't have any children, but says he still has "the biggest family in Austin." He will attend a party with his church on Sunday.